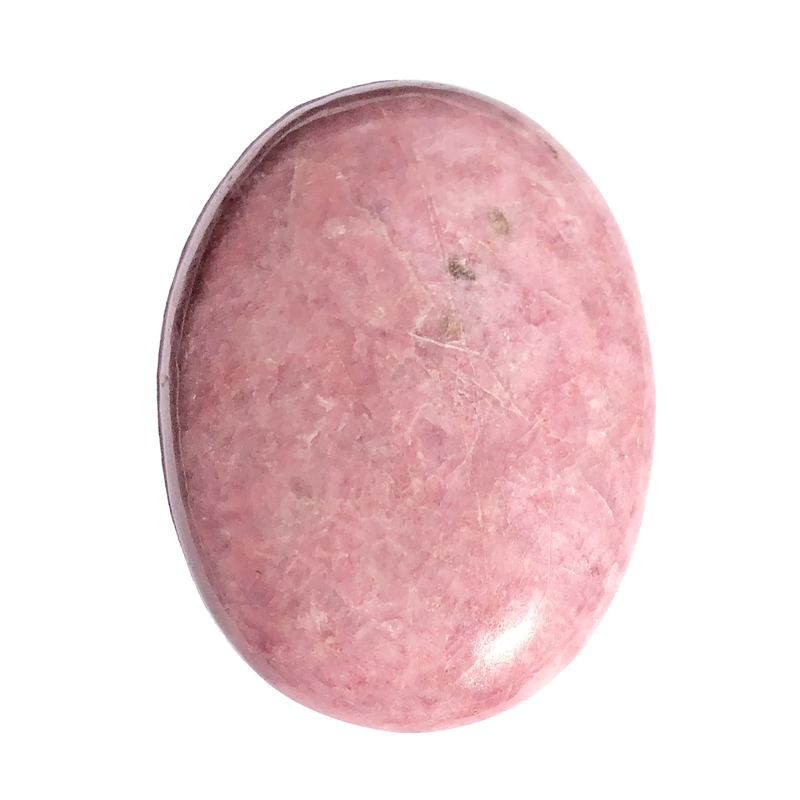 Rhodonite, semi precious stone, cabochon, flat back, oval, flat back, focal stone. Mauve pink, sometimes a tiny bit of pink-cream and once in a bit a little navy blue striation.... They will go GREAT with the new B'sue by 1928 line! AND: Just think, they are actually a product of the earth, hewn from the earth, a form of gemstone....and they cost less than a lot of glass cabs would! Measures 40 x 30mm. We cull our stock to be sure it is free from cracks, chips, dings, flaws....and we only place in stock ones that are interesting, that have pattern and good color. Please know, however, that in semi precious stones of this nature there can be great variance. Each stone is a hand worked lapidary item. No two stones are exactly alike. Hey, it might even look better! Sold by the piece.